It’s school vacation week, hear the kids cheer! Now imagine Mom’s fear…what to do with the kids during winter break? You should take the kids skiing, what could possible go wrong? Well, lots if you aren’t organized. 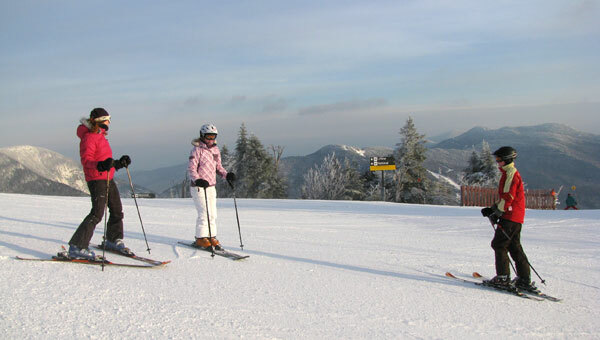 Here are a few tips to help you on the slopes during your family ski vacation week. 1. Get the 411 before you go. Call or surf online to find when the ski area opens and where to park. A little research saves time, energy, even aggravation on ski days. 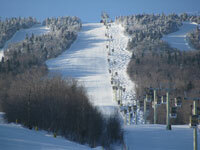 Sunday River opens at 8am on holidays; Stowe opens 7:30 on weekends. 2. Prep everyone’s gear the night before. We each have our own ski bag with our goggles, gloves, helmet/hat, hand warmers, boots, etc, so there is no last minute looking for Suzie’s ski socks at 6am. It’s not a bad idea to have the kids sleep in their long johns so you can hit the road bright and early. See our ski packing tips. 3. Vacation weeks do bring more people to the slopes, so get to the resort 30 minutes prior to lift opening to get parking, tickets, boots on, so you are at the lift before the masses. 4. Allow for more time if you need rentals, or your kids are going to ski camp, which you should register for in advance (holiday weeks do sell out). 5. There is a reason ski lessons are pricey – they’re worth it! In a few hours your kids can learn skills that will last a life time, and save your relationship. 6. Lunch early, or late, and head to the less popular lifts when the wave of procrastinators arrive, you will have more fresh cord and more slope space. 7. You don’t have to choose a big ski resort to have big fun. 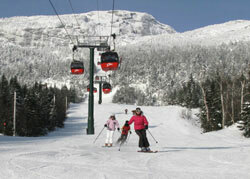 Smaller ski areas have smaller price tags, with ski school, rentals and everything you need in an easier to manage base. 8. If you are staying overnight, get the details on your lodging situation so you pack properly for a ski condo. If there’s a hot tub, pool and a full kitchen, you will be glad you brought swimsuits, a dinner, breakfast, and beer, for example. 9. Research local events and specials, you don’t want to miss the fireworks, but you may want to avoid the crush for free wings at happy hour with little kids in tow. 10. Remember, skiing is supposed to be fun. Take it easy, take photos and hot cocoa breaks with your young skiers. You want your family to love skiing, and long to do it again!